Prebhans offers you small, lightweight applications for your Android smartphone that are easy to use and will make your life easier and more fun. 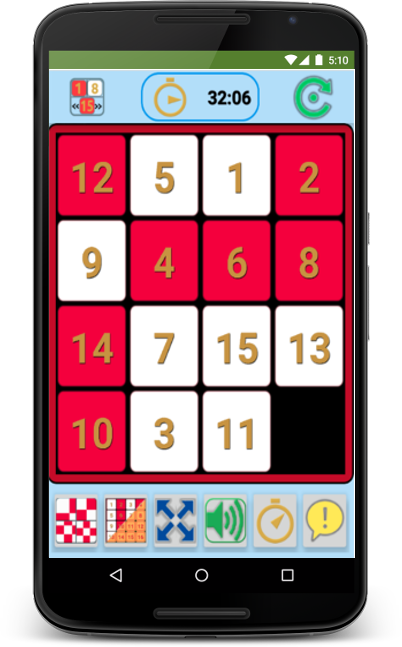 15 Puzzle offers you an entertaining slide game with four levels of challenges and with three different designs. With A15Puzzle you can use your own photos from your smartphone to entertain yourself. Phone&SIM offes you useful information, data and benefits of your smart-phone. With Phone&SIM you can easily get a lot of information concerning your smartphone. The PIN Key will help you to remember your pin codes for your bank and credit cards plus SIM cards. The PIN Key exploits the fact that the brain recog- nizes patterns better than it remembers digits. Check Bluetooth helps you to keep track of all your Bluetooth devices. Check Bluetooth helps you to remember the connection between Bluetooth names and company or manufacture names.